So last time we talked about how we came to settle on a curriculum. This week I will share about how we have had to adapt that curriculum to meet our needs. I mentioned that We have been blessed by this curriculum, that it was great for my own strengths and weaknesses. But the one thing we have found to be a challenge has been Joshua’s intelligence. The first grade level curriculum we chose for him because he was already advanced, has not been challenging enough for him, it is very slow moving lots and lots and lots of repetition for a boy who grasps things very quickly, it has been frustrating for him. I think he is a gifted learner, though I won’t go through having him tested at this time, because I am homeschooling and can adapt to his educational needs with freedom. If he was going into school, I would have him tested only for placement purposes. I’m wary of testing because that just gives him a label, and I’m not into labels…that’s for another post. Back to the curriculum challenge, I was very discouraged the first week of school when he was saying, I already knoooow this mom, I need something more challenging…most teachers would love this comment, and I am pleased that he is such a fast and eager learner, but I had no budget to go out and purchase a whole new curriculum, I had purchased this one with the idea that I wasn’t going to have to spend hours and hours planning lessons, and now it looked like that was exactly what I was going to have to do in order to keep up with his needs. 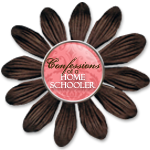 This is where having a positive network of friends and other homeschoolers is a must for the homeschooling family. I asked several of my friends what they would do in this situation, and I also posted a question on one of the blogs I follow stating my issue and requesting advice. What did we ever do without the internet? The response was amazing. I had so many people who had been in the same boat give me support, encouragement, curriculum recommendations and the like. So I have some different things to consider when we choose next year’s curriculum, though the advice that was so helpful was a recommendation, to stick with what we have, and teach it at an accelerated rate, and if we finish early, then we can take an early break and then even start on the next year. So that is what we have been doing. I have been teaching 3 lessons at a time, per subject each day. Sometimes it can get a bit overwhelming to give him all those worksheets and workbook pages, so I split them up into “homework” that he works on later in the day after his nap, usually when I am trying to get dinner ready or at times when other mindless activities would compete for his time. Another recommendation was to supplement, supplement, supplement. Find different things, books activities, and fun learning excersizes to supplement what is being learned in class time. This has been working great for us. I am so glad I didn’t run out and get a new curriculum. I may try something new next year, I may just continue doing what we are doing as well, we have some things to consider, but overall choosing to make the curriculum we chose, meet his needs has been the best decision yet. The beauty of homeschooling is that you dont also have to follow the teachers manual exactly as it is written, Im not even sure public/private school teachers do either. Though I think its a misconception and something we as homeschool parents can get hung up on, and it can hinder us sometimes. I skip over the things I know he already knows and/or adapt them to make them more interesting. Sometimes I even ask him for suggestions on creating a game to practice the lessons. Its wonderful to have that freedom. I’m sure this is not the case in every situation, but it was the case in ours. My advice that anyone can follow, is to find a network of friends and other homeschool families that you can trust and lean on for advice and support. It is key to successful homeschooling.